The Western Marine Command (WMC) of Nigeria Customs Service (NCS), has concluded plans to unfold new operational strategies to curb illicit trade at the creeks as part of efforts to tackle smugglers operating within the waterways. 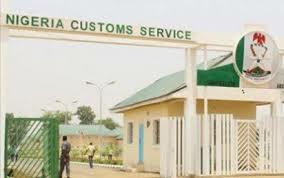 The Customs Area Controller of WMC, Comptroller Boyiliya N. Binga, who disclosed this to newsmen at a press briefing in Lagos recently, assured that his men will leave no stone unturned in seizing prohibited items and arresting smugglers at the creeks, to serve as deterrent to others. He said the Command intercepted Cannabis Sativa (Indian Hemp), secondhand clothing, vegetable oil, bags of sugar, shoes, hand bags, foreign rice, furniture components, belts and other items with Duty Paid Value, (DPV) of over N197.88 million within few months. While taking journalists round the Command’s warehouse where the seizures were kept. It was observed that the warehouse was filled to the brim with prohibited items, especially foreign rice. Binga therefore, called on States given allocation of items for IDPs to evacuate such items, as soon as possible so at to create rooms for other incoming seizures in the command. He said office accommodation, dearth of operational tools, such as boats and patrol vehicles as some of the challenges facing WMC, adding that these challenges impact negatively on efficiency of anti-smuggling activities of the Command. Also speaking, the Public Relations Officer (PRO), of WMC, Mr. N. E. Tangwa, explained that Comptroller Binga resumed duty as the CAC of WMC precisely on August 16, 2018.